Mitsubishi Motors Corporation is a Japanese automaker with headquarters in Tokyo, Japan. They rank sixth largest out of Japanese automobile manufacturers and sixteenth largest in the world based on production. As of 2016, the company is 34% controlled by Nissan which makes them a part of the Renault-Nissan-Mitsubishi Alliance. The other 66% of the company is owned by Mitsubishi keiretsu. This large industrial group formed in 1970 from Mitsubishi Heavy Industries. Through the years, the company has created some popular vehicles including the Mitsubishi Eclipse, Mirage, and 3000GT. While they’ve had their shares of successes, there have also been plenty of failures along the way. In 1870, the Mitsubishi Group was established. The sole founder was Yataro Iwasaki, who specialized in shipping. At the time, the name of the company was Mitsubishi Shokai, which just means “three diamonds.” Even today, you see this transferred into their logo. While their primary business was in shipping, they always looked for ways to diversify. They purchased a shipyard, began a coal mining facility, and iron mill. They even started an insurance company which catered to marine businesses. With all the growth and additional capital, they opened the Mitsubishi bank just a short time later in 1919. While named the Mitsubishi Shipbuilding Company, they released the Model A. 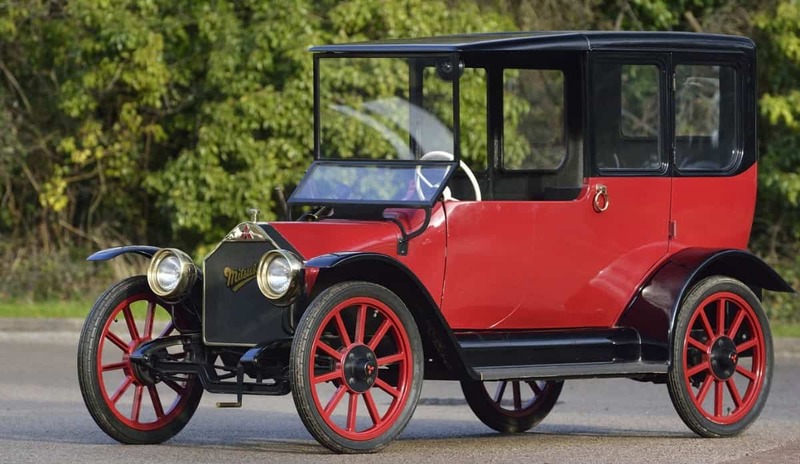 It was Japan’s first production automobile and was a complete shock to the region in 1917. This seven-passenger car was inexpensive but also hand-built. After four years, only 22 were ever built. Mitsubishi became the largest private company in Japan by 1920. At this time, they were focused on building aircraft engines. They even had contracts with the Japanese Imperial Navy in 1935 for battleships, airplanes, and aircraft carriers. During World War II Mitsubishi would produce its A6M Zero fighter for the Imperial Japanese Navy. In 1937, they created the PX33 which was a prototype sedan designed specifically for military use. It was also the first Japanese car that offered full-time four-wheel-drive. Once the war ended, the company went back to developing vehicles. They had a three-wheeled cargo car named the Mizushima plus a scooter titled the Silver Pigeon. They also started producing American vehicles such as the Willys Jeep CJ-3B, Henry J, and Kaiser Motors. There were some issues related to the World War II peace treaty and Mitsubishi Heavy Industries was split into three separate companies. They were Central Japan Heavy-Industries, East Japan Heavy-Industries, and West Japan Heavy-Industries. By early 1960s, the economy in Japan started rising. This caused a demand in family motoring. Central Japan Heavy-Industries wanted to introduce the Mitsubishi 500 as a mass-market sedan. In 1962, they followed with the Minica kei car and finally its Colt 100. In 1964, the Mitsubishi company released a larger passenger sedan, titled the Debonair. It was a luxury model only available to the senior executives for their company car. West Japan and East Japan Heavy-Industries expanded their markets as well. Over a three year time, they produced 75,000 vehicles per year. In 1969, they developed the Galant and saw immediate success. The companies decided it would be best to combine operations and focus solely on the automobile industry. That’s when Mitsubishi Motors Corporation formed in 1970 under the direction of Tomio Kubo, a previous engineer from when the company was involved in aircraft production. Once Mitsubishi Motors Corporation formed, it sold 15% of its shares to Chrysler. That’s when they imported the Galant as the Dodge Colt. This benefitted both companies because Dodge required a smaller fuel-efficient car and Mitsubishi needed a sales boost. In fact, by 1977, the distribution had grown so heavily that annual production rose from 500,000 to 965,000 cars in only four years. In 1978, Chrysler began selling more Galant vehicles like the Plymouth Sapporo and Dodge Challenger. This success also led to some friction. Chrysler started viewing the overseas market encroaching on the subcompact segment. At the same time, Mitsubishi felt that American companies were too demanding in corporate situations. During the 1980s, Chrysler verged on bankruptcy. This led to the Mitsubishi company forming a separate product line to import to the American people. Chrysler was still involved and when Mitsubishi became publicly traded, they increased holdings to 20%. At the same time, Chrysler sold the Australian manufacturing division to Mitsubishi. It was then renamed Mitsubishi Motors Australia Ltd. In 1982, they released their line of vehicles to the American market. With seventy dealers located in 22 states, the Cordia coupe, Starion coupe, and Tredia sedan all hit the public. This began with an allocation of 30,000 vehicles. With the help of its first television campaign, the presence in the United States grew quickly. In fact, they were immediately able to increase their dealership count to 340. Liuzhou Automotive and Mitsubishi came to an agreement in 1986 that the Minicab kei van plus the truck would be assembled there. This allowed them to become the third Japanese automaker to start assembly in China, behind Daihatsu and Suzuki. By 1989, the company’s worldwide production reached an astounding 1.5 million vehicles. Around the same time, Chrysler and Mitsubishi joined together in a manufacturing facility situated in Normal, Illinois. It was a 50/50 venture that circumvented any import restrictions while offering Chrysler some new subcompact vehicles. 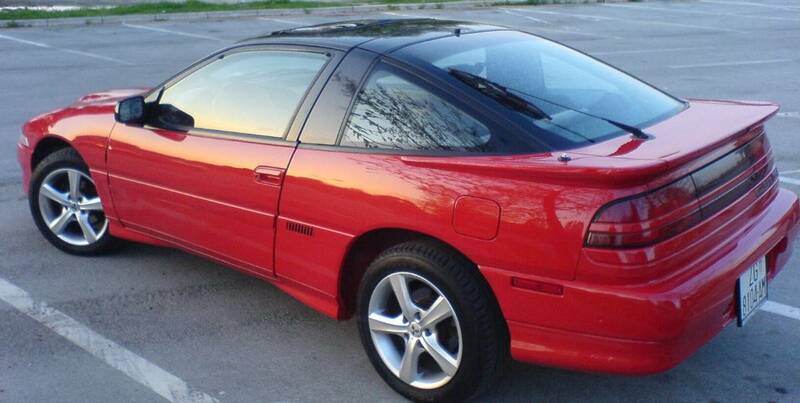 In the beginning, three vehicles were produced at the plant: the Eagle Talon, Plymouth Laser, and Mitsubishi Eclipse. In 1992, the company looked to acquire Honda with hostile tactics. Honda was busy dealing with the death of their founder, so it was caught off-guard. However, the CEO at the time, Nobuhiko Kawamoto jumped into action to avert the takeover. He exited Formula One racing and discontinued producing unprofitable vehicles. This proved to be effective. The rest of the 90s proved to be a roller coaster ride for the company. It’s when they invested deeply into the SUV market. They even offered the first 4×4 to Japan which rose its shares to 11.6%. In 1992, Chrysler also decreased their shares to just 3% while divesting itself of all its shares in 1993. The two companies went their separate ways and Mitsubishi stopped supplying transmission and engine parts to Chrysler. The economic recession hit the company hard and caused the stock prices to decrease dramatically. Then, in early 2000, they saw numerous legal battles that led to the company admitting to more than 30 defects on the vehicles. Not only did this lead to massive recalls, but also many lawsuits. In 1999, Carlos Ghosn rescued the Nissan company with $5 billion. He then set out to do the same for Mitsubishi. It cost him $2.5 billion and he acquired 35% controlling interest. The remainder of the shares were spread out through the conglomerate of heavy industry, shipbuilding, banks, and more. This investment made Ghosn Chairman of Mitsubishi. His goal was to rehab the automaker’s reputation after the fall-out of its fuel-economy misrepresentation. Nissan-Mitsubishi now works to develop vehicles as well as focus on electric cars. The Renault-Nissan-Mitsubishi alliance is the fourth-largest auto group in the world after Toyota (1st), Volkswagen AG (2nd), and General Motors (3rd). Starting in 2009, the company sold the i-MiEV to customers. This all-electric mini vehicle featured a lithium-ion battery pack that resided under the floor. Despite the fact they planned to offer this only to municipalities and businesses at first, they were able to provide the retail launch instead. Then, they released the Outlander P-HEV which was a plug-in hybrid. By 2016, it had global sales of almost 120,000 units. By 2018, it saw amazing success in the UK. The sales figures were even higher than those in Japan. That’s because it qualified for a government subsidy and because it wasn’t any more expensive than a diesel alternative. It did lack a sixth and seventh seat which some consumers wished for, but saved drivers a bunch on their fuel bills. In 2018, the Mitsubishi Outlander was listed as an IIHS Top Safety Pick. With that said, the Outlander PHEV received lower markings. While the roof strength was rated ‘Good’ and front crash protection was ‘Superior,’ both the headlights and child seat anchors only received an ‘Acceptable’ rating. The Mitsubishi Outlander Sport also struggled with its ratings. It received the ‘Good’ marking in moderate overlap front, side, roof strength, plus seat restraints and seats. With that said, it also received the ‘Acceptable’ marking for the driver-side small overlap front and child seat anchors. On top of that, it only achieved the ‘Marginal’ markings for passenger-side small overlap front and headlights. The Mirage 4-door hatchback received the ‘Good’ rating on everything but driver-side small overlap front in which it scored ‘Marginal.’ The Mirage G4 didn’t fare so well considering it not only had the ‘Marginal’ rating on the driver-side small overlap but also only an ‘Acceptable’ rating on side crashworthiness. Mitsubishi vehicles offer various safety equipment in their newer vehicles. The Forward Collision Mitigation System prevents frontal collision and also reduces damage if the crash is inevitable. This is done with the help of laser radar and camera. The Adaptive Cruise Control System maintains a safe distance between the driver’s car and the one in front through the use of radar. It also reduces the stress of the driver during a traffic jam. The Blind Spot Warning feature uses radar sensors located in the back bumper to detect vehicles on both sides. The indicator appears on the car’s door mirror. If the turn signal is activated the indicator blinks and alerts drivers with buzzing sounds. The Automatic High Beam switches to low beams if vehicles are detected in front of the driver. Then, it automatically turns them back on so the driver doesn’t need to remove their hands from the steering wheel. The Rear Cross Traffic Alert uses the sensors in the back bumper to alert the driver if there’s an oncoming vehicle while in reverse. With the Multi Around Mirror, the driver receives displays from the front, rear, and sides of the vehicle to allow for safer parking. On top of that, the Ultrasonic Misacceleration Mitigation System prevents collision during parking by alerting drivers of nearby obstacles. The design of the Mitsubishi vehicles also come with some safety features as well. The Rise (Reinforced Impact Safety Evolution) Body absorbs energy and maintains the highest levels of cabin integrity during a collision. There are also seven SRS Airbags in the Outlander. In addition, the Auto-Dimming Rear View Mirror reduces glare from the headlights of vehicles behind you. Finally, their vehicles offer Hill Start Assist which keeps you from rolling backward when the brake is released on a hill. Mitsubishi is often hit by the recall bug and in some big ways. In 2014, there were three recalls occurring at one time. First, 165,923 models which included the 2008 to 2011 Outlander SUV, Lancer, and Lancer Evolution plus the 2009 to 2011 Lancer Sportback and 2011 Outlander Sport, all had a fairly large mechanical fault. Vehicles might have been fitted with a drive belt that led to uneven pulley wear. The second recall at the time included 37,000 units of the 2007 to 2009 Mitsubishi Outlander. The stop lamp switch was susceptible to failure, which meant faulty brake lamps for some drivers. Finally, another two vehicles of the 2011 Mitsubishi Outlander Sport were recalled because they might have been kitted with a brake booster that contained a poorly installed switch sleeve. This could cause the sleeve to crack which would result in the brake pedal’s inability to bounce back to the proper position. Again in 2018, they issued several more recalls at the same time. 227,000 vehicles were recalled because the sunroofs were made of faulty glass. It poses a risk of flying off with no notice. This recall affected 2007 to 2010 Outlanders, 2008 to 2010 Lancers, and the 2009 to 2010 Lancer Evolutions. The next recall involved faulty parking brakes in more than 2014 to 2016 170,000 Outlander models. Water might enter into the rear brake calipers, leading to corroded parking brake shafts. This causes the brake to stick and not hold the vehicle properly. 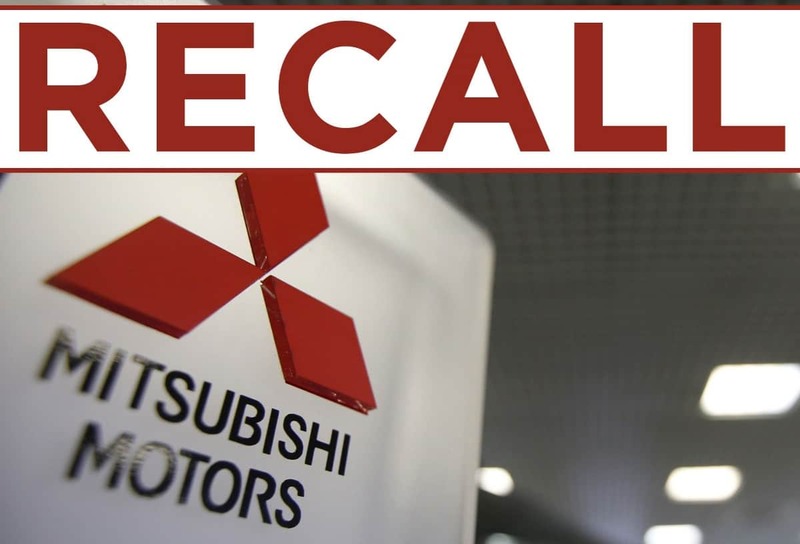 The third recall involved the 2009 to 2012 Lancer sedans and Lancer Sportback hatchbacks, plus the 2008 to 2012 Outlander, including some Sports models. The drive belt automatic tensioner flange might crack leading to the accessory drive belt to become detached, causing the battery to discharge and the engine to stall. Because the company produces budget-friendly vehicles, their lineup isn’t as dependable as some other automakers. In fact, Consumer Affairs shows that the company has earned more 1-star ratings than any other grade. It gives them an average of less than 2-stars when discussing customer satisfaction. In addition, Consumer Reports calls the brand out as offering aging products. They don’t like that the company has a limited amount of vehicles and feels that many of their production is outdated. When they ran road tests, they ranked all the Mitsubishi vehicles near the bottom in their respective categories. J.D. Power Ratings for the company weren’t much better. In 2017, they received a two out of five ranking in Quality Overall. They also earned two out of five in Performance & Design Overall with another three out of five in Dependability. Sales Satisfaction and Customer Service were not evaluated. The company has received numerous awards throughout the years. Here are a few of the more notable ones. Outlander PHEV won RJC Technology of the Year Award and Car of the Year’s Innovation Award in Japan. Mitsubishi Mirage named ASG’s 2014 “Best All-Around Performance Award” winner along with “Best Environmental Performance Award” in the Mini-Compact Class. Mitsubishi Outlander, including Sport models won “Best 5 All-Around Performance Award” winners for the Mid-Size SUV class and the Crossover SUV class by ASG. Mirage won “No. 1 New Car for Penny Pinchers,” from Cars.com. Outlander took home the 12th Active Lifestyle Vehicle of the Year award from Carspondent. 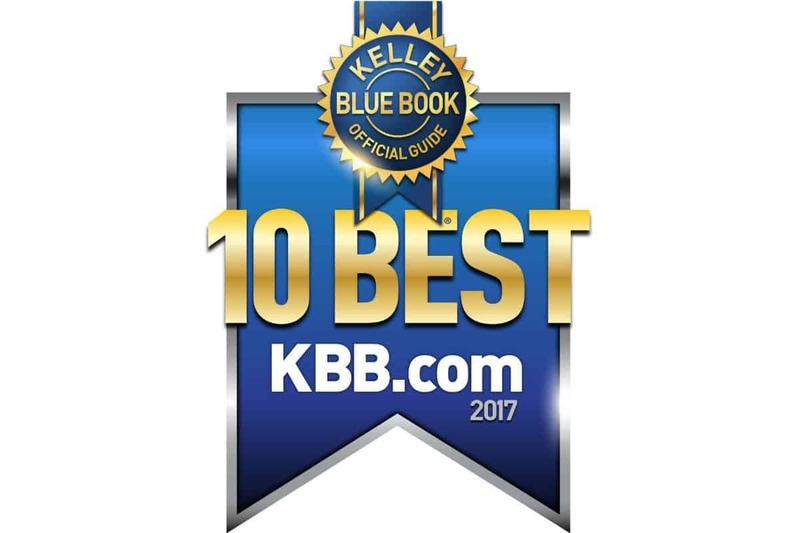 Mitsubishi Outlander took home One of the 10 Most Affordable 3-Row Vehicles from KBB. There have been numerous partnerships throughout the years with other automakers. Here are some that were well-known. Working together since 1999, they cooperated on developing diesel engines. They do this with the use of Japanese gasoline direct ignition (GDI). In 2005, the pair produced the Citroën C-Crosser SUV and the Peugeot 4007. They joined together to own a production facility located in Kaluga. This plant manufacturers up to 16,000 Outlander SUVs for the Russian market. They also collaborate on electric powertrains for use in smaller urban vehicles. From 1987 through 1994, the Hyundai Excel was sold as the Mitsubishi Precis in the United States. The company held 10% stake in until March 2003. Several other Mitsubishi models rebadged as Hyundais. This included the Santamo (Mitsubishi Chariot), Galloper (Mitsubishi Pajero), and the Porter (Mitsubishi Delica). acquired 34% stake in the company in 2016, making them the controlling shareholder. This placed the automaker into the Renault–Nissan Alliance. Standing for the South African Motor Corporation, a joint venture was produced in 1985. This allowed them to make Mitsubishi vehicles geared toward the South African market. The Delica was rebadged a Ford Husky while the Canter became the Ford Triton. Mitsubishi uses diesel engines supplied by in some mid-sized vehicles. This mainly occurs in Europe. In 1991, the two carmakers joined the Dutch government for NedCar. This is when the first generation Carisma was born along with the S40 and later the V40. Their factory went on to produce the Colt and Smart Forfour. Eventually, in 2012, the plant was sold to the Dutch company VDL Groep. The company has been riddled with corporate scandals that have shaken its foundation and almost led to bankruptcy. Here are some that were well-known. Considered to be the largest corporate scandal ever in Japanese history, Mitsubishi was forced to admit that it covered up defective problems in their vehicles. In 2000, four defects were published, but later, they confessed that there were 26 more dating back as far as 1977. This included fuel leaks, malfunctioning clutches, and failing brakes. This led to massive recalls, totaling about a million vehicles. It also led to the arrest of the president plus 23 additional employees. In 2016, Nissan found some discrepancies in the Mitsubishi information regarding fuel consumption. They admitted to giving false information from 2002 onward about fuel consumption with the use of inaccurate testing methods. In fact, these testing methods didn’t comply with Japanese regulations over the time of 25 years. This is what led to Nissan taking over the company in 2016. Mitsubishi Motors North America said its vehicles sold from 2013 in the United States had accurate fuel economy information so they weren’t affected by the scandal. At the same time, Tetsuro Aikawa, the president, was asked to resign. While the company denies any top management knowledge of the scandal, they still took steps to right their wrong. Mitsubishi’s headquarters are located in Tokyo, Japan. The corporate office of Mitsubishi Motors of North America is situated in Cypress, CA. There are many manufacturing facilities located in Thailand, the Philippines, and Japan. There are also a total of twelve plants either owned by the company or in partnership with others. Offices in the United States include a Research and Development located in Ann Arbor, Michigan plus the headquarters in California. There used to be a plant open in Normal, Illinois, but that closed in 2015. Since April 2018, the president of Mitsubishi has been Takehiko Kakiuchi. He’s been with the company in some capacity since 1979. In 2016, the Mitsubishi Motor North America recorded their highest annual sales since 2008. It was done with a record-breaking 96,267 vehicles. The Outlander also jumped an additional 39.5% since 2015 in sales. As of June 2018, the company as a whole was listed #112 on with sales of $68.3 billion. The Mitsubishi Corporation is split into eight different business sections. Business Service Group – information technology sector partnered with Tata Consultancy Services. They operate a Tokyo data center. Global Environmental & Infrastructure Business Group – in charge of transportation, industrial, water, and electrical projects. This includes airports in Ulaanbataar and Mandalay as well as several railroads. Industrial Finance, Logistics and Development Group – handles the asset financing, management, and logistics. Energy Business Group – handles investments and trading in crude oil, liquefied petroleum gas, liquefied natural gas, biofuel and shale gas. Metals Group – trades coal, nickel, iron ore, chrome, aluminum, copper, uranium, plus platinum. They also have a coal mine open in Queensland, Australia. Machinery Group – sales of heavy machinery, defense equipment, motor vehicles, and ships. Chemicals Group – trades and produces functional and commodity chemicals including petrochemicals. Living Essentials Group – trades and develops consumer products and handles retail operations. Shenyang Aerospace Mitsubishi Motors Engine Manufacturing Co.
South East (Fujian) Motor Co.
Harbin Dongan Automotive Engine Manufacturing Co. The company’s logo is easily recognized and shared with another forty companies in the keiretsu. This logo actually predates the company itself by nearly a century. Iwasaki Yatarō, who was the founder, chose the design because it reminded him of an emblem from his first employer, Tosa Clan. In addition, his family crest features three rhombuses that were stacked on each other. The name of Mitsubishi has two parts to it. The Mitsu means three and the hishi implies water chestnut. Basically, it means rhombus which is the logo. The company has held a 30-year long partnership with Jackie Chan. He’s used the vehicles in most of his movies during his career. There’s even a Jackie Chan Cup, which was first held back in 1984. This annual celebrity race involves starlets from Asia as well as motor journalists driving in Mitsubishis. In celebration of the partnership, the company created 50 special edition versions of its Lancer Evo IX. In November 2017, Mitsubishi earned the top spot of automaker commercials with the ad about the 2017 Outlander. The commercial talked about how the SUV was “one of America’s safest crossovers.” The spot highlighted several features of the SUV including the forward collision mitigation. Mitsubishi has been involved with motorsports racing before it even became a corporation. Its big start was in the early 1960s with some street races, and then they moved into off-road racing. Through the 70s, they dominated many endurance rallies. The 80s were known for the Dakar Rally, while the 90s lead to both Group A and Group N classes in the World Rally Championship. The company used the name Ralliart as the racing subsidiary. This later became Mitsubishi Motors Motor Sports. The company halted all formal racing in 2010. Their debut into motorsports occurred in 1962 with the Mitsubishi 500 Super DeLuxe at the Macau Grand Prix. They raced in hopes of promoting sales of their first passenger car after the war. Their sedan took all four of the top places within the “Under 750 cc” category. The following year, they came back with the Colt 600. This time, they took all three top places of the “Under 600 cc” category. Their final year of racing was in 1966. Again, they swept the entire podium of the “750 to 1000 cc” category with their Colt 1000 in the Japanese Grand Prix. In the 1970s, the WRC hosted the East African Safari Rally. This was known to be the most grueling event on the circuit, so Mitsubishi specifically designed a Lancer 1600 GSR for the race. Its efforts paid off because it won with its very first try in 1974. Then, in 1976, they made a sweep of all the podium spots. Keep in mind; this race had a finish rate of only 20%. Throughout the 80s, the company continued to excel at the WRC. At first, they used their Lancer EX2000 Turbo. Then, they used the Starion. Some victories were also won with the Galant VR-4. The company is the most successful automaker in history when it comes to the Dakar Rally. Their first entry occurred in 1983 with the Pajero. After three attempts, they began winning. They also won four years in the 90s and seven consecutive times from 2001 through 2007. In 2003, they also won the FIA Cross-Country Rally World Cup. The Mitsubishi Auto Gallery (MAG) is located in Okazaki, Japan. It opened its doors in 1989 and contains the Passenger Car Engineering Center. The goal of the museum is to educate visitors about the company’s various passenger cars that were previously produced, and some that are made now. The story begins in 1917 and highlights all of their development history since. The space measures about 3600 square feet and showcases many of the company’s achievements. There are some production concepts highlighted as well. Mitsubishi Motors Finance is powered by Ally Auto. Headquarters are in Mobile, AL with payment processing offices in Dallas, TX. The company offers all the regular tools needed to buy or lease one of their vehicles. There are special offers and incentive plans regularly available for new cars. They also offer Ownership with Flexibility. That allows the consumer to choose a 48-month or 60-month long term when buying or leasing. They are one of the few companies that offer a rebate to return customers. It’s called the Customer Loyalty Incentive. Loyal customers receive up to an additional $500 off their next purchase. They also work hard to recognize the sacrifices and dedication of those in the military. That’s why they offer service personnel up to an extra $750 rebate on new models. Through Ally, the company provides Ally Premier Protection on vehicles. This service contract protects users from anything unexpected that might occur. Their Basic Guard covers more than 200 components. They also offer a Value Guard covering more than 2900 elements or the Major Guard which protects over 7400 parts of the vehicle. There’s Guaranteed Asset Protection (GAP) through Ally as well. This covers the difference owed on the vehicle when it’s totaled and insurance doesn’t cover it all. Their SmartLease Protect coverage handles any extra wear and mileage at the end of the lease. Other protection plans include Theft Protect, Tire & Wheel Protect, Dent Protect, and Appearance Protect. Mitsubishi Motors North America oversees about 450 dealers in the United States and Canada. When you are searching for a dealer in the country, you’ll want to keep your eye out for the Diamond Chapter of Excellence Award offered by the company to its best dealers. The Diamond Chapter of Excellence Award recognizes the dealers that strive for the highest standard. They excel in service and parts plus their sales department. Only a handful of dealerships will ever achieve this honor; basically, the top 6%. Another popular tool to use when looking for the cream of the crop in dealership is the . Unfortunately, no Mitsubishi dealers made the list at this time. 1 – The Silent Shaft engine was developed by the company in 1976. It reduces vibration in the four-cylinder design. They patented it and licensed it to many other automakers include Saab and Porsche. 2 – The company didn’t release its vehicles into the United States until 1982. That’s when they launched the Tredia, Cordia, and Starion. At the time of release, the company had 70 dealers set up in 22 states. Within just eight years, they were able to significantly increase their presence due to popularity. 3 – The Eclipse hit the scene and took the world by storm. Its advanced four-wheel drive system combined with its turbocharged engine is what propelled this car to be on the Car and Driver’s “10 Best List” starting in 1989 through 1993. This sports coupe is what put the company on America’s map. There was also a Spyder convertible model beginning in 1996. 4 – The Lancer made its first appearance in 2003 in America. Immediately, it earned the Automobile of the Year title from Automobile magazine. After that, it continued to gather many accolades across the world. In fact, ConsumerSearch listed it as one of the Best Sports Sedans on the market in 2006. What kept it at the top of people’s lists was its stylish appearance, superior performance, and affordable pricing. 5 – The company beat five Guinness Book records in 2011 within a 24-hour time period. This occured in Canada with both the Outlander and Outlander Sport models. In one day, they achieved the greatest distance driven in reverse on snow by a vehicle and the shortest braking distances on ice by a vehicle. The other three records were most figure eights by a vehicle on ice in two minutes, fastest vehicle slalom relay on the ice, and the fastest driven square lap. 1 – Are Mitsubishi Good Cars? Considering they sell some of the lowest priced vehicles on the market currently, their rankings are low in customer satisfaction or dependability. They do offer some protection plans by Mitsubishi Finance which give some additional guarantees against unforeseen circumstances. 2 – Does Mitsubishi Still Make Cars? They do, but they currently only have four models available in North America. Production in the United States no longer exists. 3 – Where are Mitsubishi Cars Made? Japanese manufacturing plants handle the production of vehicles. There was a plant in Normal, Illinois, but it shut down in 2015. 4 – Is Mitsubishi Japanese? Mitsubishi Motors headquarters are in Japan. As of 2011, they ranked as the sixth largest automaker in Japan and 16th in the world by production.